For many of us, building and maintaining a good credit score can be a challenge. The stakes are higher for people who may have little or no credit history. You can, however, take positive steps for yourself and your family by building your credit score in a way that helps you create financial stability. Before diving deeper into this issue, it’s important to understand what credit is in the first place. Credit refers to borrowing money to buy something of value now and repaying it later. People use credit cards, for example, to buy goods and services; such as food, clothing, medical services, travel and car repairs, and then they pay the credit card bill at the end of the month. Credit scores indicate how likely you are to repay a loan based on your past payment history. Having a high credit score can give you more financial freedom because businesses are more likely to lend money to someone with a good reputation as a borrower, whereas a poor credit score could limit that freedom. Credit visibility reflects your credit history. For example, if you have good credit visibility, this likely means you have a history of successfully handling credit. If you have no credit visibility or poor credit visibility, this usually indicates no, or very little, credit history, or negative history such as debt that has been sent to a collection agency. It is harder and more expensive to borrow money when you have no credit visibility or a negative credit visibility. The reason for this is that it is riskier for a business to lend money to someone who does not promptly pay that money back. By responsibly building and maintaining a good credit score, you can gain more access to low-interest credit and become economically stable. If you use credit but do not know what your credit score is, you can request it for free at www.annualcreditreport.com. Through this website, you can request information from the three major credit reporting agencies once every 12 months free of charge. Be sure to look at it carefully, sometimes they do not reflect payments you’ve made and or have made mistakes; if you challenge them quickly, and provide proof of their mistake, it is likely that you can get the credit reporting services to correct the report. A credit score of 700 to 800 is considered very good. If your credit score is below 620, don’t give up hope! 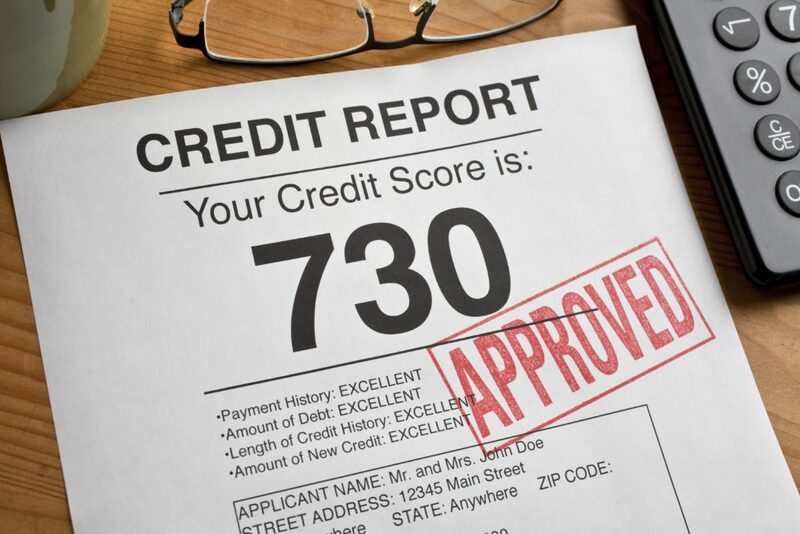 You can improve a bad score and build your credit history. The most important part about building credit is doing it responsibly. If you are new to credit, the Consumer Financial Protection Bureau (CFPB) recommends considering a secured credit card to help you establish and build credit. A secured credit card is one that requires a cash deposit that becomes the credit line for that account. For example, if you put $500 in the account, you can charge up to $500. This helps you build credit without the fear of spending more than you can afford to pay back. Pay your loans on time, all the time. It is important to always make on-time payments. This will help to boost your financial credibility and raise your credit score. Not paying on time is the quickest way to lower your credit score. Only apply for credit that you can afford. It can be tempting to use credit to buy many things, but remember that this is a loan and you will need to make regular payments in order to repay it. Over-utilizing credit can quickly bring you into debt if you do not manage it responsibly. Do not get close to your credit limit. Keep your balances low if you can. If an emergency purchase requires you to come close to your limit, try to make payments that are higher than the minimum required in order to repay the balance down sooner. Credit plays an important role in our lives, and having good credit allows you more financial freedom. If you have a good credit score, you can more easily rent a home, buy a car and access other needs or wants. So, take this as an opportunity to help yourself, your family and your community. Get smart and pass it on!